Explore the unknown with this challenging but fun Space 35 piece interlocking puzzle! 35 piece puzzles are for the advanced preschool puzzler graduating from frame puzzles to their first interlocking puzzles. With interesting imagery and strategic piece size, these puzzles are perfect for challenging your child as they learn. 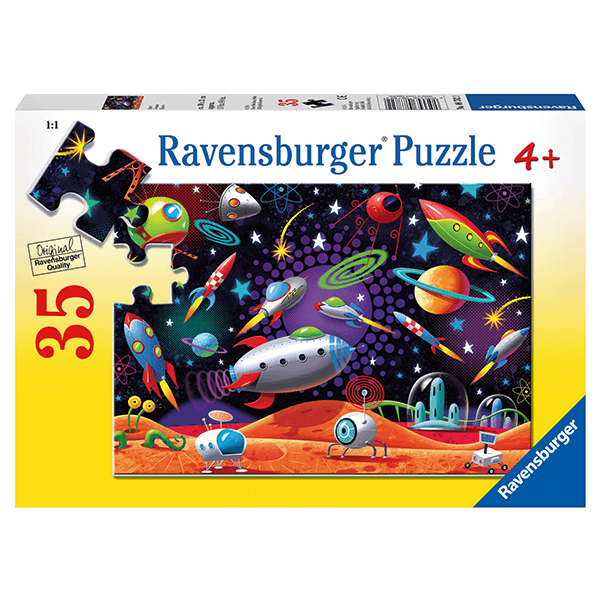 Ravensburger 35 piece Puzzles are a fun way to train recognition, logical thinking, patience, and hand-eye coordination. Puzzle difficulty when chosen correctly, strengthens your child's self esteem and short term memory while having fun! 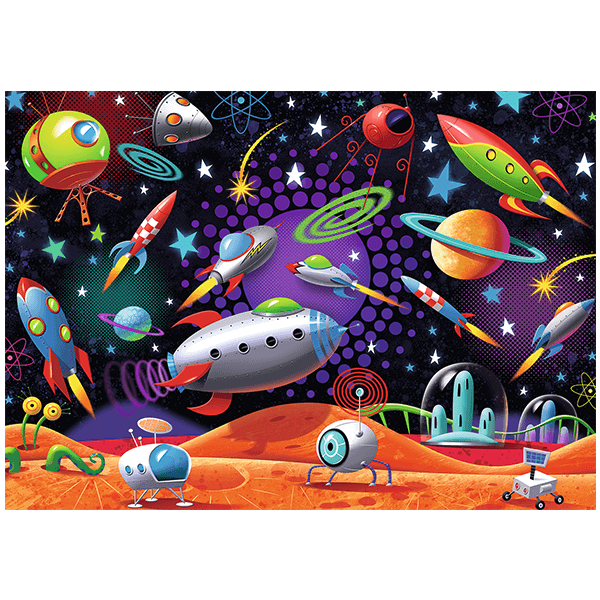 If You Liked Ravensburger Space 35 Piece Puzzle, See More Related Products Below!